I'm so excited that we're going to Tokyo for a holiday this week. I studied Japanese from primary school right to early Uni years, but gave it up for other commitments thinking I probably wouldn't live and work in Japan in the future. 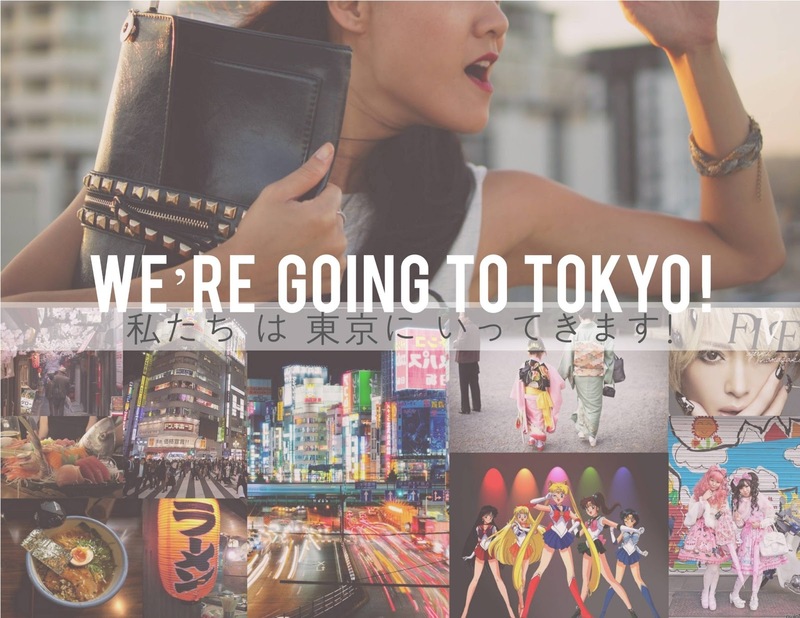 Ever since then I still had high hopes (and possibly regret) that I hadn't visited any Japanese cities that I had grown up learning about and loving the kitschy part of the culture, the food & fashion, and meeting some of the most interesting people. So now I am ABSOLUTELY over the moon that we get to visit this very cool city of Tokyo! Japan is known for being a country encompassing high tech and high quality things, populated with polite and humble people, beautiful scenery, great and colourful pop-culture, but also known for food and people that are crazy, cute and kitschy. I can't wait to see the restaurants, cafes and supermarkets...the culture ... the shopping... and also spending time with one of our friends whilst we are there. The extent of my Japanese speaking skills has gone down the gurgular with not having had any practice for so many years, but I'm hoping that I will be able to say more words than "domo arigato" (thank you very much), "konnichiwa" (hello! ), and "torei ni doko ni arimasu-ka" (where is the toilet? - in probably the most formal way! ), once we immerse ourselves in the city that has very little English speakers.